Explore the amazing world of Greenhill Ranch, home to championship horses. Discover 20 fun mini-games that let you teach, train and groom your horse. With the right training, you and your horse will take the crown at the big tournament. Life at the ranch has never been this much fun. All of the mini-games are fun even if they are easy. It's really a nice game! I don't see the point of this game. All you do is play mini games. They could improve it by making it an actual game. The only thing you get out of it is horse fact cards. did you ever heard about vet life on animal planet.com? scroll down to your right and then watch the video and see if you like it. It has 60 different vet cases. Care for over 40 animals. do x-rays and put bones together. cats and dogs,farm animals, wildlife. And you can travel the globe, become a world famous vet! all in vet life available September 22nd! look in game stop and best buy! only for Wii and DS! I love it so much, it's so fun to play! 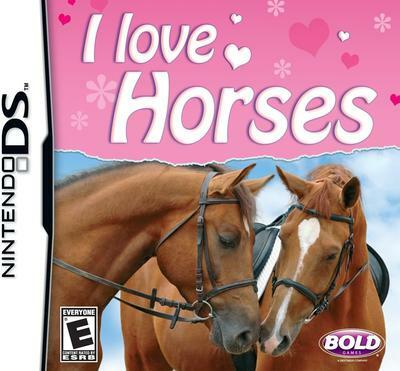 I love horses, it's a great game but after a while it gets kind of boring. You can get it new or used. I would get it used because you can restart the games and it would be cheaper. Great Game!